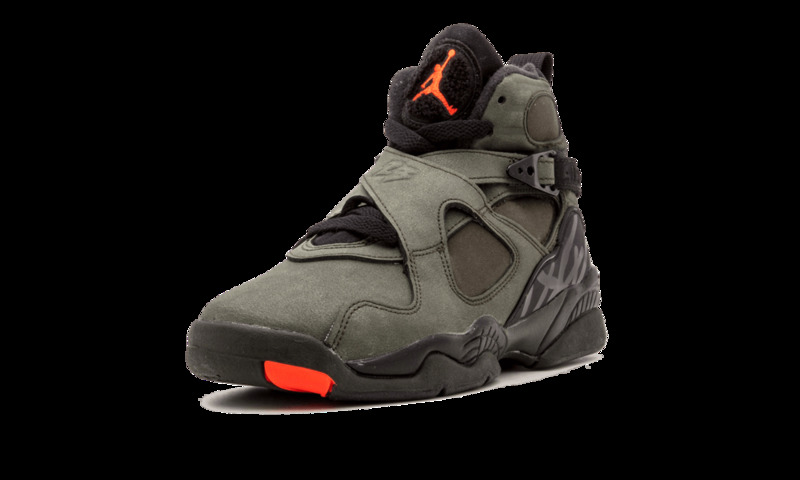 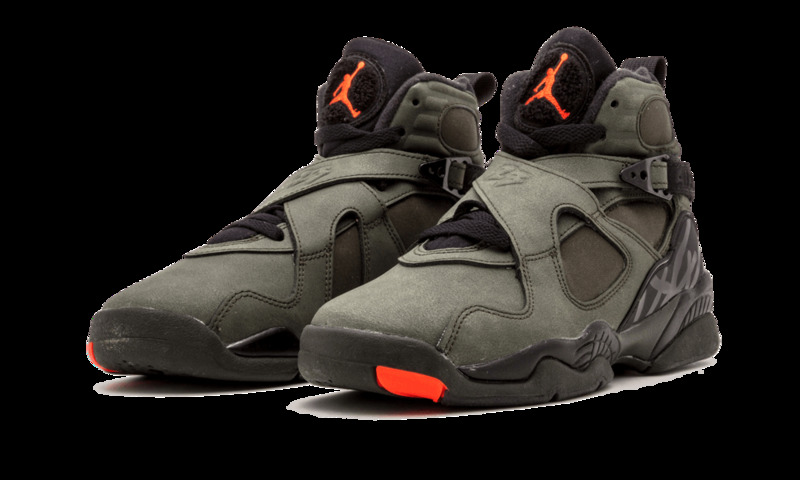 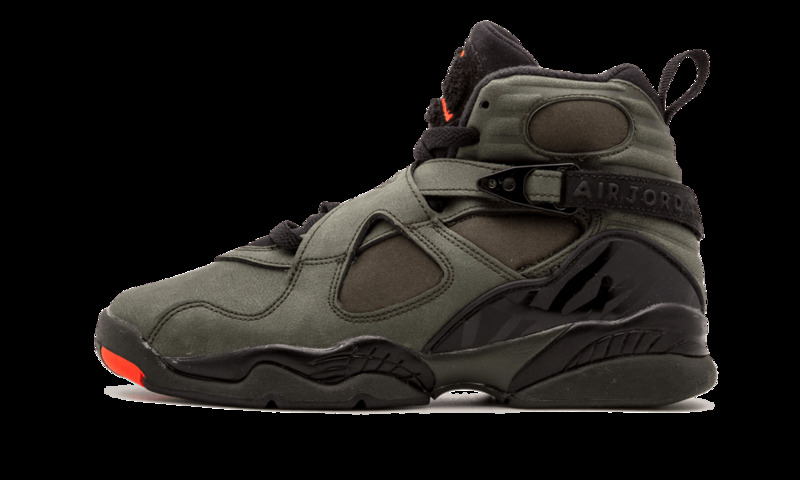 This iteration of the Air Jordan 8, nicknamed "Take Flight", draws inspiration from the military and airforce. 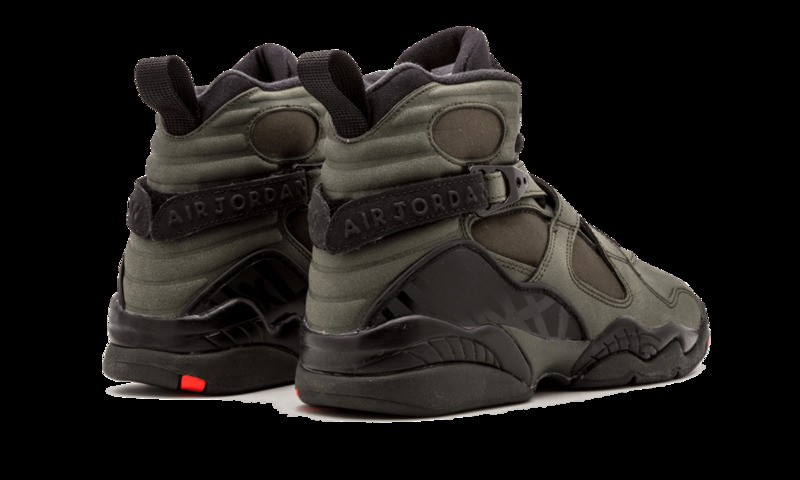 The uppers feature a thick olive green leather, layered in a strap like manner which replicates the details seen in airforce and military uniforms. 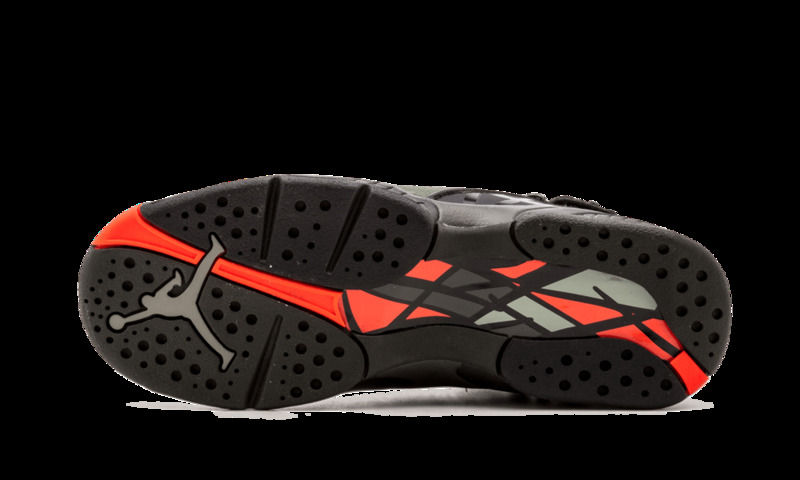 The metal buckle on the middle strap, combined with the bright orange accents on the sole only add to the effect.